Life is short, choose the right herd. I love this sketch and it was the first one I completed. I got my inspiration in December while driving through the Karoo when we went on holiday. We take a road trip down to Cape Town often as we just love the Western Cape. The Karoo was very dry, the dryest I have ever seen and I think the drought was the reason for nearly no sheep on the side of the roads. I missed it. Usually you can find sheep for endless kilometers flocking together. The drought really left me sad and worried about the water conditions in the Karoo, and it was there where I decided I have to draw a sheep in honor of the drought in South Africa. As you can see I have more than just one sheep, that’s because I started a kiddies range and two of these little guys goes onto the kids T-shirts. I can’t wait to share the actual product with you. A Custom Muppie Lounge Design. I am delighted to share with you that I never left the sheep as just a sketch. This means too much to me. I took if further and really searched high and low for an idea. 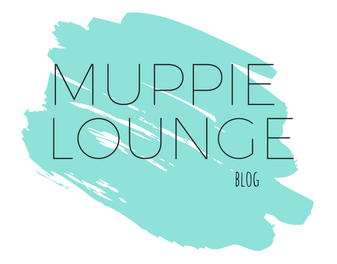 Finally after many trials and tribulations Muppie Lounge found the perfect product and even better the perfect person to carefully make these little things for us. Our very own sheep keyring. These adorable little “sheepies” are custom handmade products of Muppie Lounge. A dear friend of mine and stay at home mom has so much talent, she’s got no idea. Melissa from Meli’s Arts and Crafts played around for weeks and after we’ve tried so many different types of hair and beads, this wonderful wooly sheep was created. I’m introducing our white sheep and our black sheep. Our first 5 #Yourchoice (the sheep sketch) T-shirt sales will receive a FREE sheep keyring from Muppie Lounge. (Terms and Conditions – one per order and one per customer.) People they are to die for. They are also now available on our website at R75.00 each. Watch this space as we are so close to launching our new and exciting clothing range. Follow us on all the social media pages and share share share please. Love your sketches (the sheep are so cute 😊), and looking forward to seeing the tees!